Bac Giang Province needs to make full use of its land, transport and human resource advantages to narrow development gap with other provinces and cities nationwide. 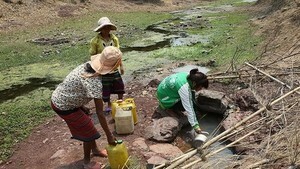 Prime Minister Nguyen Tan Dung made the request at a working session with provincial authorities on May 25. The PM spoke highly of the province’s efforts to achieve good results in socio-economic development, including the GDP growth rate of 8.7 percent in the past five years, quick industrial development with three industrial zones and 29 industrial clusters, and new and efficient models of agricultural production. These helped increase the annual per-capita income to USD600 and reduce poverty rate. Yet, Bac Giang’s economic development remains slow and per-capita income is only half of the national level, the PM pointed out. Noting the fact that 70 percent of local laborers work in agriculture, generating 30 percent of the provincial GDP, PM Dung requested the acceleration of scientific-technological application in agriculture to increase quality and productivity for sustainable development. For the next five years (2011-2015), the PM asked the province to tap every resources for investment in agriculture, industry and service sector so as to speed up the economy, achieve GDP growth rate of 11-12 percent per year and an average per-capita income of over USD1,300 by 2015. 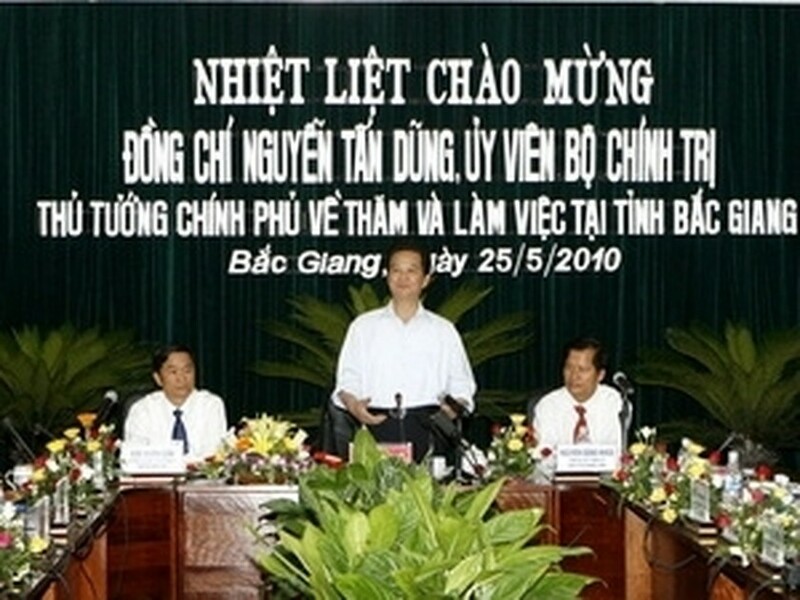 While in Bac Giang, the PM also visited Fuhong company in Dong Vang industrial cluster.